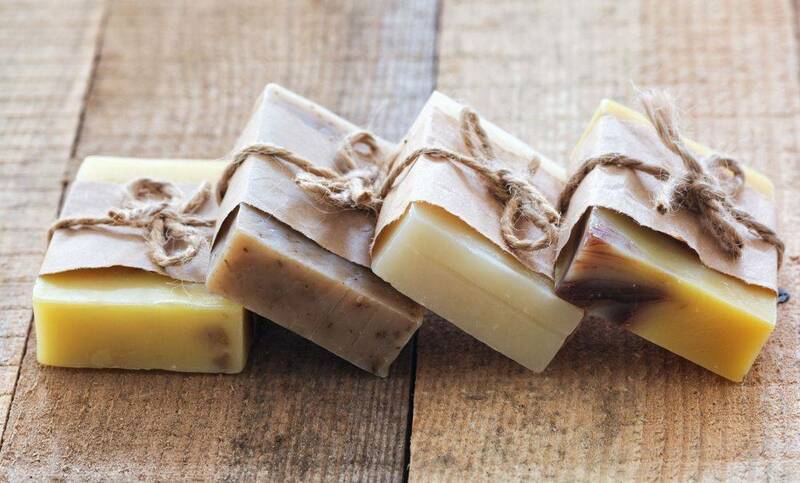 Learn to make soap that is chemical free, healthy for your skin, and ready to use as soon as you take it home! This class is available in two forms: Full Batch and Partial Batch. Here's what that means: when you sign up for a "full batch" class, you take home a full mold of soap bars (usually about 10 "usable" bars, and some "scraps"). When you sign up for a "partial batch" class, you will share the batch with another workshop participant, meaning that you will take home 5 usable bars (and some scraps). Both variations have their advantages/disadvantages: full batch classes mean that you take home more soap (but the cost per participant is higher); partial batch classes mean that you take home less soap (but the per-person cost is less) You can mix and match the finished soap bars with the other participants in either workshop, which results in the ability to take home a selection of different soap types/scents rather than only one kind, should everyone be willing to swap. And here's a bonus: During the cooling phase (when the soap has to cool in the mold to become firm enough to be cut), the class participants can pick something from another workshop that they would like to know more about, such as Candlemaking, Energy Work, Dowsing, or Foraging, and we will provide you with a "sampler" of information at no charge. This could include things such as learning how to "feel" energy, dowsing the energy of a tree or person, or any other of a number of things that might pique your interest!